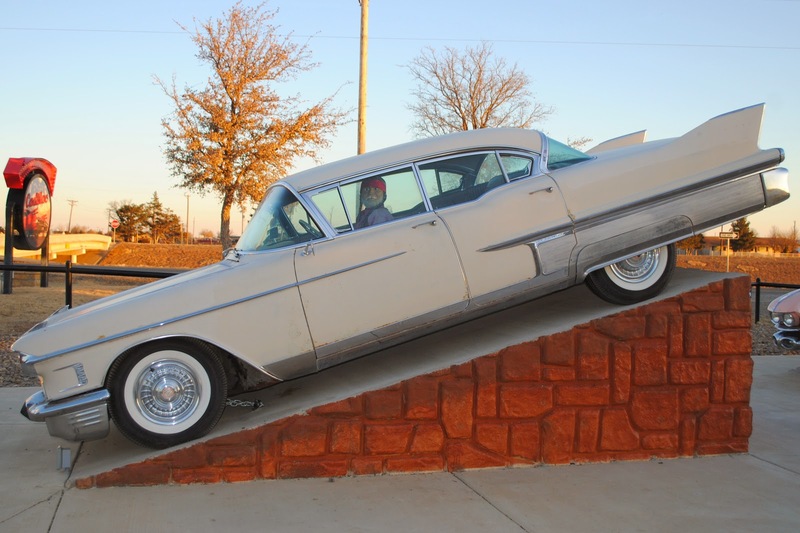 There are countless classic landmarks that dot our American Highway. I would argue however, that there is one landmark that stands above the rest. There is one landmark that embodies the spirit of Americana, adventure and the open the road more then any other. The Cadillac Ranch. This past November I finally got a chance to visit this classic American landmark in Amarillo, TX. It actually ended up being a lot colder then I imagined. 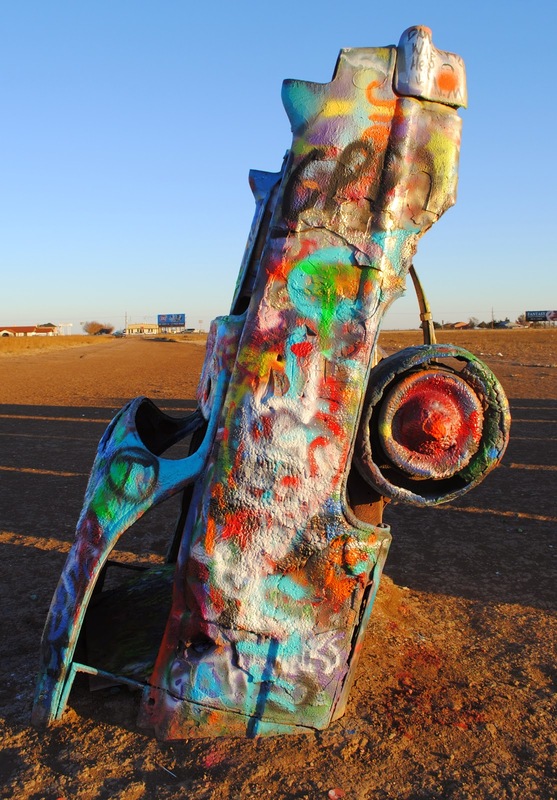 Erected in the 1970s as a piece of art the Cadillac Ranch quickly became a beloved piece of Americana. One thing that separates the Ranch from other classic American monuments is that visitors are actually encourages to leave the mark on it. As you can see the cars have been extensively grafito-tagged. Cans of spray paint litter the ground begging visitors to add their own touch. These cars have had so many paint jobs they are practically paint then. There is literally no exposed metal left on these cars and the shells have a weird bubbly consistency to them from all the paint. 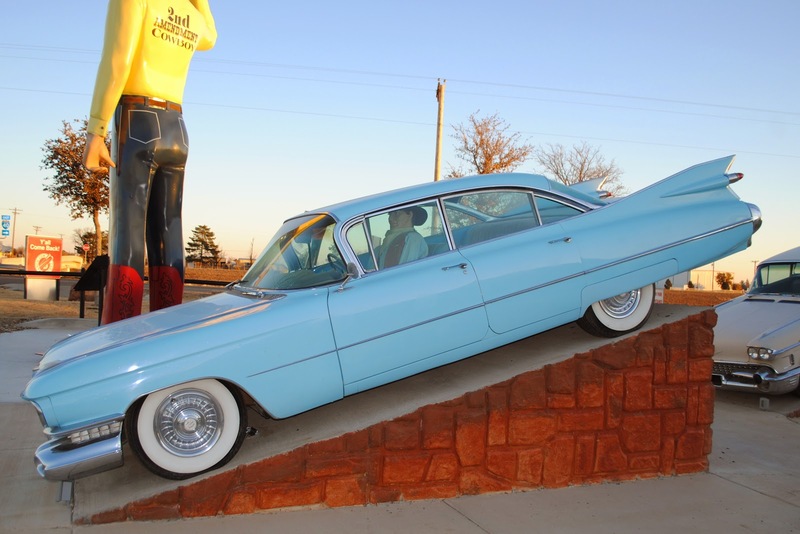 The simple, yet remarkable design of the Cadillac Ranch has been duplicated many times across the highways of America. Just next door at an RV dealership, Cadillac are angled in homage to the Ranch. Not far away in Canyon, TX is another branch of the family tree. In a back road sits Combine City. Yes, these are giant farm combines planted into the the earth in a similar manor to that of the Cadillac Ranch. One difference is that the combines are fenced off, not allowing visitors to decorate them. This may sound like a bummer, but I think there is probably a legal reason that the owners don't want you climbing all over heavy machinery armed with spinning blades. 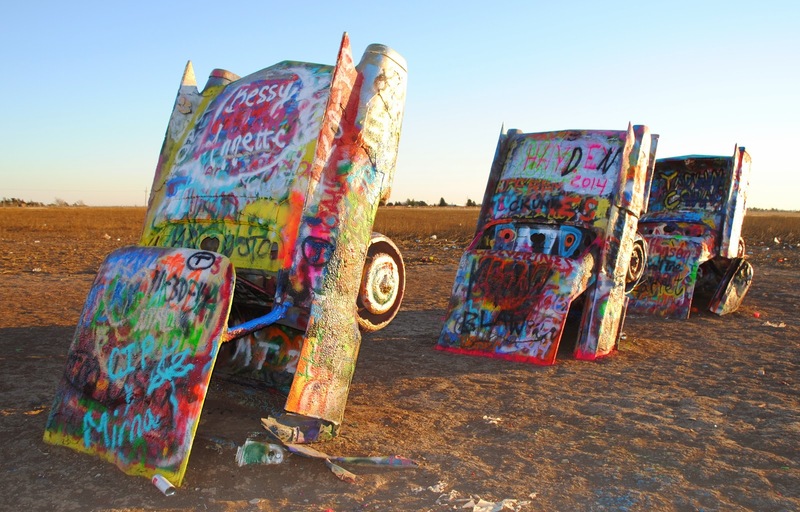 Not much further down the road in Conway, TX is "The Slug Bug Ranch", which is a direct and unapologetic homage to the Cadillac Ranch. The primary difference here is that VW bugs have been planted in the ground rather then Cadillac. 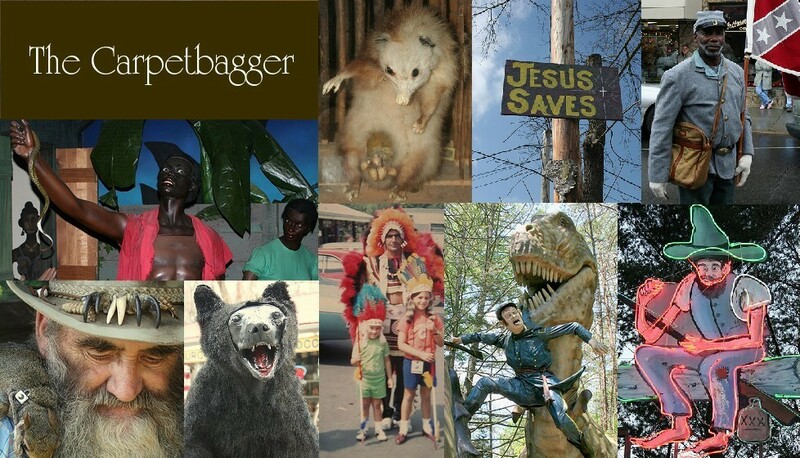 While it may seem like nothing but a rip off at first, the Slug Bug Ranch has its own unique charm. The younger Slug Bug Ranch has not had time to be stripped of all detachable parts and coated in safety paint. There is still loose metal parts that give it a bit more edginess. The Slug Bugs are also located next to a creepy abandoned gas station along with several other abandoned buildings where one can do a little exploring. Of course not all "Ranches" are found in Texas. The Lawnmower Ranch at Hillbilly Gardens can be found in Calvert City, KY. 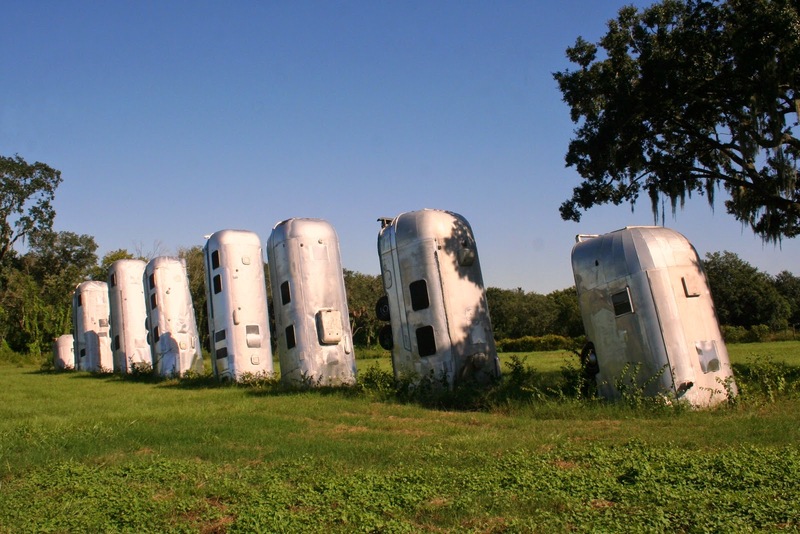 In Dover, FL there is the the truly amazing Airstream Ranch, where full sized airstream trailers are placed in the ground. Truly an awesome site. Things like this make me truly love this country.